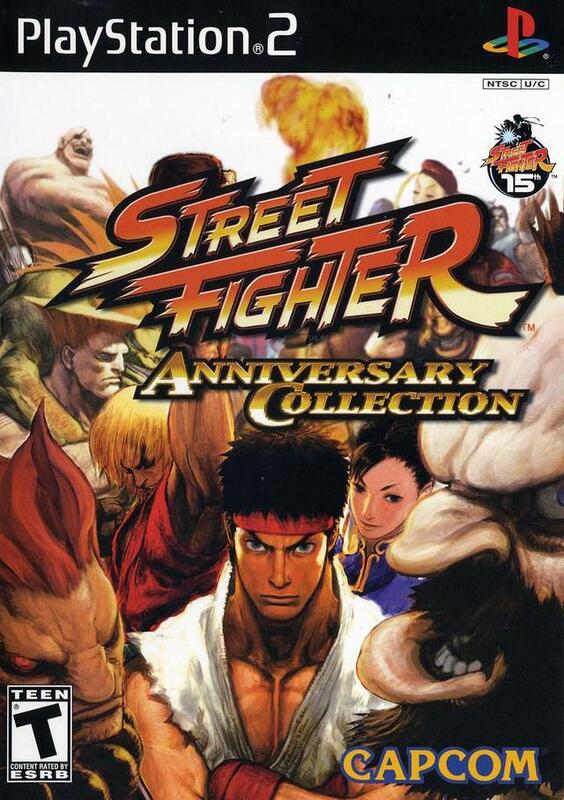 Street Fighter Anniversary Collection commemorates the 15th anniversary of Capcom's series of fighting games. 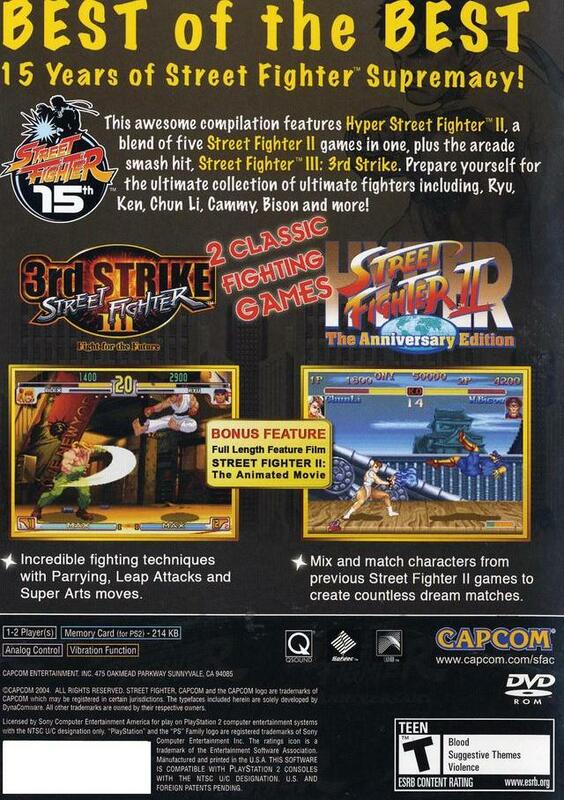 The compilation includes Hyper Street Fighter II, which combines previous Street Fighter II features and character variations from previous Street Fighter II editions, and Street Fighter III: Third Strike. Hyper Street Fighter II lets you mix and match characters from the different versions for a variety of matchups. Prepare yourself for the ultimate collection of ultimate fighters. 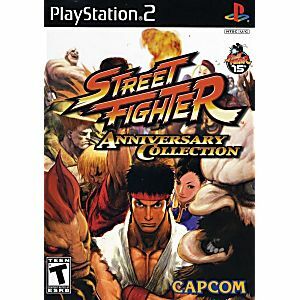 Street fighter is still my favorite fighting game.This game brought back so many good time memories Lukie games are the best. I will be ordering all my games from yall. Thanks for the great prices and quick shipping. The gameplay remains top notch, and the graphics and sound are vintage Street Fighter. Dig in and get your Shoryuken on.